SUNSHINE Coast MP Peter Slipper has flatly denied claims by a cab driver that he used to get his paper delivered by taxi, as he fended off questions about his huge travel expenses. 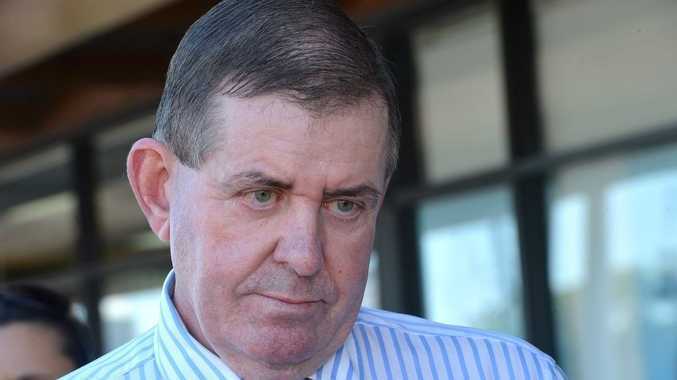 "That's completely untrue,'' the former Speaker, who is facing charges for alleged fraud, said when asked about the claim on ABC Coast FM on Friday. The ABC said it was contacted by a cab driver who said the former LNP MP used to have the Sunshine Coast Daily delivered to his Buderim home at a cost to taxpayers of about $260 to $280 a month. Mr Slipper said he had his paper delivered by newsagents and the Daily. "Certainly there was no charge to me for that service,'' he said. The Sunshine Coast Daily has also been told of Mr Slipper having his paper being delivered by taxi. Mr Slipper claimed he was being 'singled out' for prosecution when most MPs had just been asked to repay travel expenses they were not entitled to. He pointed to Opposition leader Tony Abbott having to pay back $10,000 when claiming travel expenses while promoting his book, while Peter Reith had to pay back $50,000 for the misuse of a phone card. Mr Slipper said authorities had spent $250,000 on investigations and faced a further $70,000 in court costs over less than $1000 in dispute. He pointed to Minchin Protocol, which says that when a politician claims too much for minor expenses (such as cab fares) then they just quietly repay the excess. Mr Slipper said he had repeatedly written to the Department of Finance over the 2010 matters he was being prosecuted over, seeking clarification. But the MP was charged after the matter was referred to the Australian Federal Police by a third party. Mr Slipper himself has already been ordered to pay back tens of thousands of dollars. But the former Department of Finance parliamentary secretary said he did not know how much, despite knowing the figures for Tony Abbott and Mr Reith. "I don't have a particular figure,'' he told the ABC. As highlighted in investigations by the Daily, Mr Slipper has repeatedly been one of the biggest spending MPs in Australia, even as a backbencher. His extraordinary expenditure prompted a petition in the Daily signed by about 3000 people calling for an overhaul of the regulation of MPs expenses. In five weeks after federal parliament rose for its winter recess in 2010, Mr Slipper clocked up more than $20,000 in airfares, taxis and Commonwealth car use. He managed to outspend Federal ministers of the Gillard Government and senior members of his own party, landing taxpayers with a bill for $318,267.30 for the second half of 2010. But Mr Slipper maintained on the ABC that his travel expenses were in order. When asked why many of his records showed only 'suburb to suburb' rather than specifics of where he had been, Mr Slipper said the Department of Finance encouraged the practice. "I personally believe my spending has been absolutely correct,'' he said. "I would say I have always filled in CabCharge dockets correctly. Mr Slipper denied suggestions he had been impossible to contact by constituents and never in the office in recent months. "I would dispute that. I have always been available to see people,'' he said. LNP candidate Mal Brough has told media that he has had to deal with numerous constituent issues at Kawana because Mr Slipper had not been at the office. "I think I would be in the office more than most Members of Parliament,'' he said. The controversial MP claimed he would be remembered well by historians as someone who worked hard for the Coast and got important reforms into Parliament before the LNP, Mal Brough and James Ashby plotted to bring him and the government down.